1.Tony Ianno, the former Junior Minister for "Families and Caregivers" under the Martin Government. 2.David McGuinty, Ottawa South M.P since 2004. He is making early noises as a 'reform candidate' calling for a one member/one vote leadership selection, rather than a delegated convention. He has also called for the party to get to 1 million members saying it would be better to raise a lot of money in small bundles rather than a lot of money from a few members. 3.Joe Fontana, London M.P and former Minister of Labour under the Martin government. He is a former Martin loyalist. 4.Ralph Goodale. The best news of all is that the lovable and cuddly former Finance Minister is reconsidering his earlier decision not to run. He is likely in a stronger position now that the finger of blame for the income trust mess seems to be falling on Scott Brison. He would be the strongest candidate with an economics background to run given Mr. Brison's fall into possible obscurity. I gather Goodale is still a bit weak in French, though. This would be the near complete list of all Liberals considering a run. Note that nearly all are present M.Ps. Edited information on Tony Ianno. 1.Tony Ianno, the former Junior Minister for "Families and Caregivers" under the Martin Government. I believe he is a social conservative. Fortunately there are so many other things to despise Ianno for... Ianno had a rating of A from Egale Canada in the last election, and a perfect set of responses to their 2004 questionnaire. An "A" was equal to the rating they gave the NDP, and higher than the Liberal party grade of B. However the successful candidate in the riding had a personal rating of A+. But remember, as I said, there are many other things to despise Ianno for. Isn't it nice to live in a country where someone can say "Rights do not become less precious when they are shared" and one can still vote against him because he's not nearly progressive enough? Edited to point out to Adam that Ianno is most definitely a FORMER MP, something Jack Layton is very happy about, as he's rumoured to be sleeping with the current MP for that riding. Its actually a disgrace that Ianno got an A from Egale. he never lifted a finger on any gay issues despite having one of the gayest ridings in Canada and right up until 2003 he was on record as being 100% opposed to SSM. I gather Goodale is still a bit weak in French, though. I've seen Goodale read French from a prepared text (i.e. during the Queen's visit to Regina), but my recollection of his performance in QP is that he responds to French questions in English, after having listened to the translation. Maybe he's improved a lot very recently, but if not--he'd be involved in a French-language leaders' debate in a very minimal way. Goodale's a decent person and a hard worker; he's well respected in his home province by people across the political spectrum. I doubt he has much profile among Liberals nationally, however, so I'd be shocked if the Liberal party actually picked him as leader. Not that his candidacy couldn't serve other purposes helpful to the 'Natural Governing Party' (i.e. demonstrating it's not a total wasteland between Winnipeg and Victoria). On Thursday more than 500 Liberals are expected to converge on the King Edward Hotel in Toronto to honour Liberal veteran Sheila Copps. I'm looking forward to hearing Sheila say "This evening has shown Canadians that Liberals can be inclusive, respectful, treating others the way we wish to be treated ourselves, ready to serve, leaving no one behind. After the warmth of the reception I've received this evening, when so many people have asked me to step forward, how can I refuse to stand for the leadership?" Martin Cauchon announced today on Politics with Don Newman he won't be running. He seems to be a very depressed person. Gary Doer came on after him. Dour and Doer. Sorry, couldn't resist. I can't think of anyone who could lead the Liberals to victory in the next election, unless the rumours are confirmed that Harpoon does, in fact, eat kittens. Has Carolyn Bennett decided not to run? I was surprised she wasn't on the list. Cauchon was my favorite Liberal. I'm glad he's not running...makes it so much easier to loathe them, as they deserve to be loathed. Loathing takes up too much wasted energy. Constant ridiculing of the Grits and revelling in their disarray, on the other hand, brings nothing but pleasure. Triz, my mistake on Carolyn Bennett. I missed adding her name. Dominique LeBlanc took himself out of the running. He will instead by a leadership convention co-organizer. Dan Cook, Globe and Mail political writer, has a blog ( http://tinyurl.com/gpkta) that lists the name of the potential candidates. Dan is also the host of a likeable Saturday night/Sunday morning interview show on radio station CKNW here in Vancouver. 1.Dan McTeague. He would definately run as the 'social conservative' in the race. He's always been a fairly indepently minded Liberal M.P, even while holding onto various parliamentary secretary positions. 2.John McCallum. I personally like McCallum a great deal. Even when he was going through "P.R problems" at the Ministry of Defence, it was often mentioned how well respected he was by the ministry officials. I was surprised his name was out there because he does seem a little weak in the 'P.R department'. Because of his "P.R problems" he was demoted to Veteran's Affairs from Defence and then received what was likely initally regarded as a pretty lateral move to the Revenue portfolio. He basically took that portfolio and turned himself into a virtual co-Treasury Board President, with Reg Alcock handling the personnel aspects of that portfolio and McCallum handling the financial aspects. (Very similar to Sir Frank at Treasury for those familiar with Yes Prime Minister). Should he run, he would almost certainly have to answer what exactly happened to David Dingwall who either was fired or resigned from Canada Post. Anne McLellan said on March 22 that she won't be running saying that her lack of French made her an unsuitable candidate. She did say, however, that she might run for her old seat again in the future. I have question marks besides the names Zed and Regan, and Mills name has been mentioned as a possible candidate in a number of places, not sure why Cook's list doesn't have Mills' name. Without Zed, Regan and McLellan and with McCallum and McTeague, the list of candidates becomes even more top-heavy with people from the GTA. Anyone who dismisses Orchard as a dreamer does so at their own peril. Orchard proved in his time with the Progressive Conservatives that he has a strong, loyal following across Canada that turns out to vote at convention time. "One of the very prominent Liberals recently told me that there isn't a Liberal in the country that has a database of 30,000 names like you do,'' Orchard said. I would expect that, just like with the P.Cs, Orchard will have no delegate growth potential at the convention with the Liberals. Carolyn Bennett was on 'Politics' last night giving strong hints she will run. She's worked on her french since being elected, and said she can debate in the language. [drift]Am I the only one who finds the unilingual Don Newman's "Can you parlez-vous francais?" patronizing? Add me to the list, although generally I like Newman. Maybe we all have our faults? At least Newman isn't the Duffster. I think Newman is close to retiring, and I think (hope) Susan Bonner might take over - she's more inclined to go on the attack. ETA: Eric Sorensen might be a good replacement for Newman, as well. Like Susan Bonner, he goes for the jugular. You know, there's a good chance that the three maybe-most-likely front-runners--Ignatieff, Rae, Kennedy--will each be within the same general SW Toronto geography. Peggy Nash, watch your back, come next election. What would his support base be? I also have trouble seeing him as someone who support would go to as others dropped out. I would think Ignatieff's position on the Iraq war would prove a hindrance to him with youth delegates? If the LPC front runners are indeed Iggy, Rae, and Kennedy (who???) the party is toast. I can't see anyone amongst the 20+ names announced as potential contenders so far who really inspires. I see the Liberals in the wilderness for a long, long time. Unfortunately, that means the Cons will remain in power. I see the Liberals in the wilderness for a long, long time. Unfortunately, that means the Cons will remain in power. Just read in a column by Joan Bryden that Milton Chan, youth vp of policy is backing him. Young Liberals are liberal on matters of personal liberty that can impact rich people - marriage, marijuana, etc. They're pretty right wing on other issues. If the LPC front runners are indeed Iggy, Rae, and Kennedy (who???) the party is toast. I can't see anyone amongst the 20+ names announced as potential contenders so far who really inspires. All the winner really needs to do is be less unattractive than Harper in a year or two. I don't think that's exactly a Herculean task. Well, of the current lot of possible contenders, I'd go with Carolyn Bennett. She rather looks like my mom. Then there are top-tier candidates, such as Bob Rae, Michael Ignatieff, Stephane Dion, Gerard Kennedy, John Godfrey and Ken Dryden. The question isn't what it is on their resume. It's whether they have the stamina and the imagination for the long run. How many of them are ready to remain in opposition for four or eight years (that is, if an unforgiving party allows them to contest more than one election)? Only Kennedy and Rae understand the demands of opposition, which may give them an advantage if the party comes to believe its future is opposition rather than government, and looks for different things in a leader. I have a goalie's mentality. But only one plays at a time. may never see the ice again. And you never want to leave the ice. You never want to leave the ice. You want to stay on the ice. And find those answers on the ice. the longer you're not going to be there. That's what holds all of this together. What? Don't you like Ken Dryden's poetry? Um, the poetry's great, but the delivery knocks me out quicker than a sledge-hammer to the head. They don't get beaten by the underdog. And how long is ultimately? You have to wait for ultimately. You work on the ultimately. But ultimately takes a long time. Am I the only one who thinks Joe Clark would be an outstanding choice for leader for the rebuilding phase of the new Progressive Conserva-- er... the Liberal Party? No, I'm pretty sure Joe Clark agrees with you. Oh, c'mon, RB... Clark's got erverything: a national profile, respected "elder statesman", economically conservative, socially liberal. He's everything the Progressive Conser-- damn... "Liberal Party of Canada" stands for. And unlike Iggy, he doesn't condone torture! For them, it's all good! At least one, and possibly more candidates were supposed to enter the race this week. I think, though I don't have any proof on this, that the would-be candidates are afraid to enter on a day where this is bad news coming from Afghanistan. I hope this doesn't sound like snark or negativity regarding the mission in Afghanistan, but if that is the reason, the field may never grow from the two candidates now in the race. Newman interviewed Mario Bevilacqua yesterday who said he's interested. Iggy said today we don't have to wait long for his decision. Mewman interviewed Hall-Findlay today, if she has any concerns about running, it's financial. The Liberals have a full slate of 'B' candidates. Life is sweet! Quote: The Liberals have a full slate of 'B' candidates. Life is sweet! What differentiates an 'A' candidate from a 'B' candidate anyway? Ken Dryden makes my 'A' list, as do Ralph Goodale, Carolyn Bennett, and John Godfrey. All the others are on my 'B' list simply because I don't like them much. It is of course important to remember that Joe Clark was a B candidate and that Cretien started out as an anybody but Turner candidate. Who had heard of Trudeau until a month before the convention? I would point out than unlike the others in that gang, Orchard stuck with the PC's, the only party he was a member of, until the bitter end. That he did not join the Progressive Canadians is his call, but he is no turncoat, he was robbed of any coat to turn. Your not actually comparing a man of Trudeau's quality and caliber to that list of wannabes. Oh, come on. I've answered this question on babble before. He's the one who made the expression (from a Globe editorial) "the state has no business in the nation's bedrooms" famous, when, as Minister of Justice, he explained new legislation he had introduced that would reform laws on divorce, abortion and homosexuality - in 1967, a year before he ran for the Liberal leadership. I was actually alive and followed politics in 1968. Firstly the Globe was not a national paper in 1968. Secondly I think the quote became well known after Trudeau became PM, that sort of quote would not have been published in the Victoria Colonist in 1968. In 1967 I turned 17, lived in Ottawa, went to EXPO 67 (my brother lived in Montreal at the time, and painted one of the pavillions) and I knew about Trudeau as a dashing young man around town, and as a progressive Justice Minister, as did most of the country. I said the quote originated in a Globe editorial; it was picked up by all the national newspapers, as it was carried on the television news. I know - I watched it. I'd add to the discussion that among Liberals who actually do the choosing of their leader, Trudeau was very well known, perhaps more so than in the rest of the country. I wasn't surprised to see him chosen as Liberal leader nor elected as Prime Minister. BTW, my dad was a Conservative supporter, my mother I'm not sure about, she kept her politics to herself. When I started voting, I voted Liberal federally, and PC provincially (I had great respect for Bill Davis when he was Minister of Education back then). Later I voted Liberal both provincially and federally, although I voted NDP a few times because I really liked the party, both provincially and federally, in the 1980's. Since about 1990 I've voted for the person I thought was the best candidate for my riding, not for any national or provincial party. I've seen clips of Trudeau on TV before he was even an MP, such as on This Hour Has Seven Days. He was brought to Ottawa as one of the "three wise men" in 1965. He may not have been anything like the household name he became, but he sure as hell wasn't unknown in Liberal circles. I've seen clips of Trudeau on TV before he was even an MP, such as on This Hour Has Seven Days. Me, too. Geez, RB, and here I had thought you were much younger than I. The key word here, Boom Boom, is "clips." At the time of Trudeau's telvision career I was much more into Huckleberry Hound and Johnny Jellybean. Oh, okay. Being somewhat (ahem) more mature, I was into Laugh-In, the Smothers Brothers, Hullabaloo, Ed Sullivan, 77 Sunset Strip, Bonanza, The Big Valley, and I think the (dreadful) Monkees at that time. No one, that is, except for the few poor misguided babblers who still want to buy what the Liberals are selling despite the 12 cruel wasted years of Liberal government. Another example, Elizabeth May and 9 other environmentalists just voted Mulroney as the greenest PM ever, better than Trudeau, Chretien, Martin, etc. http://halifaxlive.com/content/view/611/2 And May should know, she was a policy advisor (and I believe friend) to Martin. Okay, we still don't know for sure who'll be running, but we have a rough idea. I'd be curious to hear who people think would make a good leader for the Liberals, both in the sense of who might be the best at rebuilding the party into a governing alternative, and in the sense of who would actually have the motivation and the ability to implement progressive policies and to work with the NDP. I can understand if NDP supporters here are reluctant to give the Liberals free advice. However, as often happens, my curiosity and tendency toward speculation about politics outweighs my partisan loyalties. To me, the strongest candidate seems to be Stephane Dion. He can appeal to federalist Quebec voters, he has extensive experience in several cabinet posts, and while he may be tainted by association with recent Liberal governments, I don't recall any scandals that have involved him personally. I understand he comes across as something of a dry technocrat, but from my observation of politics in general over the last twenty years, policy wonks endure while flashy charismatic figures flame out quickly. Rae and Ignatieff, though many here love to hate them, have a lot going for them as well. Rae certainly has political experience in government and opposition, and while his time as Ontario premier may be a major albatross around his neck, he has an impressive recent resume and seems to be a good public speaker. Still, any relationship between the NDP and a Rae-led Liberal Party would have the added acrimony that would come with Rae's public falling-out with the NDP. Ignatieff doesn't have that baggage, but his statements on Iraq and on torture will make the NDP rightfully mistrustful of him. On the other hand, Canadians in general may go for the superficial appeal of a guy who's lectured a lot about human rights and various Big Ideas, and that may be more important in terms of his ability to win the next election. I know very little about Gerard Kennedy. What I do know suggests that he has several strong points, and few obvious drawbacks. The party will want to be seen to move to the left, and Kennedy fits the bill. Like Rae, he has experience in opposition and government, without the added dimension of party-hopping (unless you count his choice to go into provincial politics as a Liberal when many NDPers thought he would run for them -- a minor consideration for most people). And the McGuinty government so far seems to be weathering fairly well in terms of popularity, as far as first-term governments go, so in a sense Kennedy is leaving at the top of his game. Ken Dryden also has cabinet experience, and is a relatively fresh political face at the same time. But it sounds like he has to work a lot on his public presentation. His fame as a retired hockey star won't take him very far. Plus, with at least four fairly strong candidates from the Toronto area, someone will have to get squeezed out. Belinda Stronach's money may well give her a considerable edge in signing up new members, and she can appeal to the idea of having a female leader. However, there must be considerable antipathy in the Liberals toward someone who joined the party less than a year ago in exchange for a cabinet post (albeit saving the government for the time being), and that less than a year after running for the leadership of the Conservatives. And her "charisma" is something more assumed than anything -- as a public speaker, she doesn't project much in the way of depth of intellect. If she won the leadership, she'd have the problem of facing both resentful Tory supporters and NDP supporters wary of voting for / working with an ex-Con. Scott Brison won't necessarily inspire the same level of antipathy as Stronach -- he was in the PCs but not the reunited Tories. On the other hand, he did face the Liberals in opposition for six years. He'll probably get a lot of people to think about voting for him "next time". If he does win, he could well be a credible leader in terms of attracting moderate Tory supporters, but certainly less so in terms of attracting moderate NDP supporters. Ralph Goodale would be the leading candidate from Western Canada, which would be a boost for the Liberals, who stand to make some gains here once people start to sour on the Tories. He was Finance Minister just long enough to get a public profile, not quite long enough for people to get tired of him (query -- is the income trusts scandal likely to hurt him or Brison more, if anyone?). So in terms of the frontrunners in the race, I see them as being Dion, Kennedy, and Goodale, with Ignatieff and Dryden possibly having an outside chance. The best possible leader for the Liberals (of the candidates with a chance) would probably be either Dion or Kennedy. The best possible leader for the Liberals (of the candidates with a chance) would probably be either Dion or Kennedy. I agree completely, though I prefer Kennedy. Okay, I see Tommie has his hand up... Anyone else? They're probably the two strongest candidates, yes. Although in all reality Kennedy is an unknown outside of Ontario, and not nessecrailly that known inside the province as well. The weakness behind picking a "left leaning" leader is that it could easily drive blue grits towards the Tories. While John Turner clearly wasn't known as left leaning, his 1988 campaign was clearly left leaning. And while it did accomplish the goal of preventing the NDP from overtaking them, it did nothing to "unite the Left" persay, as A) the NDP had its best election ever, and B) the Tories retained their majority. Now while one could say it was more successful in 1993, as it gave the Liberals left-leaning credibility, one should also point out that BC and Ontario, two key provinces for the NDP, had unpopular NDP governments provincially. Will those factors help the grits in a few elections from now? Probably not in Ontario, as it seems extremely likely that the Ontario NDP will get elected again anytime soon. Essentially it seems like the key internet buzz strategy anyways is peeling off NDP voters. But I think the NDP recognizes this, and will be fighting tooth and nail to keep them where they are. It will be much easier for the NDP to defend that turf, and much hard for the Liberals to take it over, if the NDP doesn't have unpopular provincial governments to deal with and they don't really. Electing a right-leaning leader won't do a whole lot to pick off these supporters as well, it could appeal to moderate tories and solidfy blue liberal support, then again, maybe that demographic will think that the Conservatives are "moderate" enough and therefore deserve a stronger mandate. Ultimatley it seems like, so long as the Conservatives don't really screw up, the next leader will be someone to guide the ship. They certainly won't be getting that crushing 250 seat majority that some once predicted Paul Martin would get. I've listened to Dion speak in the House, and he's simply too timid. Harpoon would kill him in a debate. Layton would walk all over Dion, easy. If we're going to be sympathetic for the Liberals, then give them someone who projects an image of confidence, someone like Goodale or Dryden. Rae is yesterday's man, with baggage. Iggy is the most condescending, patronizing jerk I've ever seen. Godfrey would be okay in the interim, for the life of Harpoon's minority, eighteen months to two years. In the current running, unless someone else steps up, it'll have to be Dryden or Goodale. I don't know how I feel about Kennedy yet, but so far I'm not very enthusiastic about him. ETA: I'd be quite most comfortable with Carolyn Bennett as Liberal leader, if I had to pick one single person. I think she's the one most likely to drive the fundies absolutely violent-foaming-at-the mouth-bonkers, although probably Gerald Kennedy might do likewise. In alphabetical order, the potential candidates include: Carolyn Bennett (St. Paul's, Ont. ); Maurizio Bevilacqua (Vaughan, Ont. ); Scott Brison (Kings-Hants, N.S. ); Denis Coderre (Bourassa, Que. ); Stéphane Dion (Saint-Laurent-Cartierville, Que. ); Ken Dryden (York Centre, Ont. ); Joe Fontana (London North Centre, Ont. ); Hedy Fry (Vancouver Centre, Ont. ); John Godfrey (Don Valley West, Ont. ); Michael Ignatieff (Etobicoke-Lakeshore, Ont. ); Ontario Education Minister Gerard Kennedy; former Grit MP Dennis Mills; former Ontario premier Bob Rae; Belinda Stronach (Newmarket-Aurora, Ont. ), and Joe Volpe (Eglinton-Lawrence, Ont.). ETA: Coderre has already bowed out. I didn't see this anywhere in the last few posts, but Iggy and Dion are in for sure. Of the two, I'd clearly favour Dion, but he won't do much for the Liberals. God, I hope Carolyn Bennett declares. All right, it may be the case that the only noteworthy event in her career as an MP was being defeated by Belinda Stronach (an event that no doubt has something to do with why Hall Findlay is in the race). But still! I think if the media persist in this, they should also start referring to "Toronto lawyer Bob Rae". FWIW, Hall Findlay was interviewed by Don Newman last week, and she did quite well. She thinks she and others entering the race - if there's many more candidates - will have a problem with raising money, and I think she threw a shot at Stronach. I'd chose Hall Findlay for the leadership over Stronach any day, but I hope Carolyn Bennett enters the race and wins, and that Hall Findlay does reasonably well - although I can't see Hall Findlay beating, for example, Goodale or Dryden and certainly not Bennett. I'd love to see Bennett debate Harpoon. All Carolyn Bennett has, experience wise, is running a junior ministry. I can't say that I've found her very impressive, to the extent of imagining her as Prime Minister, or being a particularly fierce debator. I think Stephane Dion would make a far stronger candidate, based on what I've seen from him. In fact I haven't found that he's a particularly weak debator. "ETA: Coderre has already bowed out"
I don't see anywhere in that Hill Times article where it says he isn't running. We've got Ken Dryden, Belinda Stronach, Ralph Goodale, Scott Brison... hmmm no one that speaks French? Boy, the Liberals really are screwed in Quebec! No wonder Harper is looking to Quebec instead of Ontario to pick up new seats. The New leader of the Liberal Party will probably be a unilingual anglophone from Ontario, who will be too busy battling the NDP for seats in urban Ontario to win anything in Quebec. He said so on Newman's show two weeks ago, unless he's changed his mind. Bennett has been learning French since she was first elected, and can speak it far better than Harper. Dion is fully bilingual, and I think Dryden and Hall Findlay are fully bilingual as well. Iggy and Volpe are fully bilingual, although I wouldn't vote for either. I find Bennett to have a much more forceful personality than Dion, and I think she is a far better debator. Dion is a nice guy, but too timid to ever be leader. I'd be happy with either Bennettt, Dryden, Godfrey, or maybe even Kennedy, until someone more dynamic steps up. If Iggy becomes LPC leader, watch for a huge increase in NDP memberships, including from me. Brison has been showing signs he may get up to Harper/Clark levels, at least by the time of his next run. Stronach shows signs of being eventually able to pass high school French. I don't think that they could run Bennett. I mean, she's from Toronto. I think the next LPC leader will be from Toronto, regardless. The CPC are headed for a majority, because the Libs are toast in Quebec. The Cons finished second in 40 ridings in Quebec last time, and now will be buying Quebecer's votes with massive spending in the province. I'm curious about the NDP's chances in Quebec. Looks like Dion and Ignatieff are declaring on Friday. The Globe reports that McGuinty has given Kennedy until tomorrow to decide if he's quitting cabinet or bowing out of the leadership race. I posted a reply to this but it got lost. She wasn't the incumbent and has never held elected office at any level, so lawyer seems an apt description. From the Wikipedia article on her she may be annoyed at her treatment from the party brass, not Stronach per se. She was parachuted in to run against Stronach, did very well, moved to the riding and became active in the local riding association to run against Stronach again, stepped aside when Stronach crossed the floor and was interested in running in another riding but wasn't pointed to one. She campaigned for Iggy, Bennett and Godfrey in the last election, so it will be interesting to see who she eventually supports. Warren Kinsella puts Hall Findlay at the top of his list. He swears he's serious. Then again, he also swore that Ben Chin was going to win. I saw the interview on Politics with Martha Hall Findlay and was very impressed. She speaks well is quite engaging, attractive, speaks French and has no baggage. I think if she started to get some real support from some of the Liberal 'machine' she might do quite well. This thread would be *much* more interesting if the words in the title were just slightly re-arranged: "Two more Liberal M.Ps put out for leadership, one more forward"
The New leader of the Liberal Party will probably be a unilingual anglophone from Ontario, who will be too busy battling the NDP for seats in urban Ontario to win anything in Quebec. This is rubbish. The Liberals would never select a non-French speaking leader. All the front runners are bilingual, and probably have a superior grasp of French than Harper. Oh good, now you're announcing your posts with a short preamble that warns people not to take them too seriously. I'm curious as to what in my posts is so inane to you, sir. Perhaps you are just disappointed and depressed because I am yet another New Democrat lost to the Liberal party. She wasn't the incumbent and has never held elected office at any level.... she may be annoyed at her treatment from the party brass, not Stronach per se. She was parachuted in to run against Stronach, did very well, moved to the riding and became active in the local riding association to run against Stronach again, stepped aside when Stronach crossed the floor and was interested in running in another riding but wasn't pointed to one. That's an even more intriguing saga than my own misunderstanding of what happened! You're right. I mixed Hall Findlay up with Karen Kraft Sloan, who was the MP for the previous riding that made up about 60% of the new riding of Newmarket-Aurora (the other 40% was represented by Maurizio Bevilacqua, who's also contemplating a leadership bid, albeit not a serious contender). You were never a New Democrat. What was inane was the fact that you pretended to be and expected anyone here to believe you. I still have my membership card. Want me to scan it for you? Milton Chan is a law student and a bazillion law students were working for Ignatieff in the election (including Chan) because big Bay Street firms (ppl like Alfred Apps) were backing him. I heard, though I cannot confirm, that some law firms sent their articling students and associates out to campaign for Ignatieff. Company cars, paid days off, etc to go pull the vote. Ech. Ultimately a lot of Young Liberals want power and they see that in Ignatieff. He is the #1 person I want to see lose. Let's all realize he would be the WORST PM for Canada out of the bunch, and shift the entire political spectrum to the right, as Paul Martin did with his budgets through the 1990s. If what Tommie has said elsewhere on Babble is true, he was an NDP member, and left the party in the last couple of weeks. He never mentioned leaving the NDP before that, as far as I can recall, although he did go on at length about supporting Gerard Kennedy as a Liberal leadership candidate some time prior to his statement that he was leaving the NDP. If tommie is who he says he is, he's also sixteen years old, which I think helps to place his posts in context a bit. I might sound ageist here, but bear with me. He knows a bit more about politics than I did at sixteen, which is saying something, but he also has that sort of absolutist philosophy that mellows out for most people as they get older. A year ago, he was insistent that the old-boy True Believers of the BC NDP and the Vancouver civic wing of the party were vastly superior to the "funky" mushy-middle sellouts who, in addition to their lack of principles, allegedly couldn't campaign their way out of a paper bag. Now, after a dispute with people in his riding association, he's convinced that the NDP are a bunch of unimaginative stick-in-the-muds and that the Liberals have a dynamic, articulate progressive vision for Canada. Many people go through ideological and partisan shifts like this one. I did, moving from the BC NDP to the Greens before moving back. But (hopefully) eventually Tommie will realize, as I came to realize, that it's more complicated than one party being great and the other parties being terrible. If you'd talked to me about provincial politics five years ago, I probably would've sounded a bit like Tommie, albeit from the perspective of supporting the Greens and detesting the NDP. Now I support the NDP and am not particularly impressed with the Greens, but feel I can't be completely dismissive of them, having been involved in the party myself for a while. Also, Tommie, I'm not sure why you thought it was a good idea to start using the "cool" icon at the end of all your posts. You didn't do it at first. You're perfectly free to keep doing it. But if you want people to take your comments seriously, the "cool" icon doesn't help. If you're simply trying to annoy people, then keep it up, because it works like a charm. Looks like Dion and Ignatieff are declaring on Friday. Q: How can you tell that Michael Ignatieff is running for Liberal leader? A: His people are already trying to prohibit anyone else from running against him. I'm sorry to be dumping on Stephane Dion yet again, as he's essentially a nice, likeable guy; but Mike Duffy asked him for his reaction to the Throne Speech, and Dion looked like a lost little puppy, and his English was barely comprehensible - the Duffster had to ask him to repeat and explain himself. Lest you think I misunderstood, I watch with closed captioning, and what I saw (and heard) was totally convoluted. I've heard his French - it's perfect as far as I can tell. Maybe Dion was just having a bad day. One of the pundits said the Libs are bitter after having lost the election, and Dion communicated bitterness loud and clear. Not what I expected from a potential leader of the Libs. My apologies. I think I mixed Coderre up with someone else. Maybe Coderre IS, in fact running. He'll be a significant contender if he does run, but I strongly doubt he'll win it. Well, I could certainly be off in my assessment of Dion. I was trying to figure out the best candidates on the basis of a number of combined factors, including experience in electoral politics, position of influence within the federal Liberal Party, and ability to assemble an organization. On a superficial view, Dion seems to me like the strongest candidate. Perhaps he still is, despite his shortcomings -- the prospective candidates so far make quite a strange cast of characters. Dion excels in federal experience and personal integrity. But he'll lose, badly, in the debates. posted by Boom Boom: Dion ...'ll lose, badly, in the debates. No kidding. He beats Preston Manning in the annoying voice category. As well, Manning was articulate and mostly coherent which is not the case for Dion. Edited to add the following correction: The above observation is wrong. Dion may not be a brilliant debater but he does fine as a speaker - nor is his voice irritating. For a moment there, I confused him with Pierre Pettigrew who does sound, in French but particularly in English, like a big dork! I'm certain David Emerson would be on a list of finalists in the "annoying voice" category. No kidding. He beats Preston Manning in the annoying voice category. You mean the leader of the REEEEFOOOOOOOOOOOOOOOOORRRRRRRMMMM party? Er, Anne McClellan takes this category HANDS DOWN. I am glad that you are so desperate in your attacks against my political beliefs that you have sunk so low as to make some grandiose psychological assessment of me. From incorrect assumptions about my age, to claims about my supposed “absolutism,” to attacking my forum signature. It is too bad that I have attempted on multiple occasions to engage you in discussion and explanation of my political changes, to which you either failed to or gave lackluster replies. Seemingly, you are much more interested in attempting to degrade me than in intellectualism. As for my signature, I apologize for offending you so greatly. Clearly you are not familiar with web forum customs. This is the first forum I have frequented without a signature option built in. In the future, I will refuse to reply to your posts unless you regard me with the same respect I have regarded you with. You have thus far failed to treat me with respect, your latest post being the most obvious example of it. But I still can't say I'd find any of the other "front runners" to be particularly good at debating except Brison. Even though this little e-mail controversy might hurt him I'm thinking he might be the best debator, in English. Although speaking of voices he has a strange lisp, and isn't that great en francais. BB, I know you keep saying how Bennett impresses you, but I just can't say I've been impressed by her. She hadn't managed to go particularly far in either Martin or Chreitien's cabinet, even though she was a highly touted candidate, even though in a sense that's a plus as it she wouldn't be "as connected" to those reigmes. Nonethless I think that speaks volumes to her political ability. BTW, tommie people will be making fun of your "signature" because it makes everything you say look untrue, or as if you don't believe it. What if your "signature" was used after saying "I agree, the murder of that woman was a brutal crime". Don't you think it would look pretty stupid with a "cool" smilie? Not to mention the fact that no one uses signatures here persay anyways, so it's just strange. But I still can't say I'd find any of the other "front runners" to be particularly good at debating except Brison. 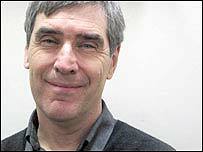 Ignatieff was a TV journalist in the UK, where a far higher standard of discourse holds sway. Hew is, in other words, a trained professional communicator. He'd do well in debate. Perhaps I got your age wrong. I based it on your statements about who you are, but I may have relied on other information that was incorrect. In any event, you do seem to go from one political extreme to another, which I regard as a kind of immaturity in someone of any age. While we've agreed on some points over the last year or so, we disagree about what the NDP and the Liberals are doing, about their ideological underpinnings, and about their motives. If you want to continue signing your posts, go ahead. I'm not offended, merely annoyed at someone who needs to say "cool" at the end of every post. It's my impression that other people feel the same way, and that they may be placing less weight on what you have to say because of it. But the emoticon doesn't make a lot of difference -- it's the substance of your posts that people will agree or disagree with, and others have offered criticisms of the substance of your posts that are as good or better than what I've had to say on the topic. Likewise, it doesn't matter to me whether you reply to my posts or not. I'll reply to yours when you say something substantive that I want to agree with, add to, or refute, as I would for any other person posting here. I am curious to hear more about who your second / third / fourth choices for Liberal leader might be. You mentioned on another thread that you saw several progressive candidates coming from the Toronto area -- Kennedy, Rae, Godfrey, and Dryden, I think. It's of course a crapshoot about who will be the frontrunners, but I don't imagine they'll ALL be from Toronto, or from the left of the party. So what other candidates would you consider supporting if one of your preferred candidates isn't on a later ballot? And who (besides Ignatieff, whom you've mentioned) would you go out of your way to block from becoming leader? I suppose, but Brison has parliamentary experience, Ignatieff doesn't. It's a skill he can learn I suppose. But again, his opponents will tagg him with the torture label, and he's always had to twist and weave to avoid it. Ever since McKenna dropped out I've wondered why nobody has suggested David Peterson for the job. Can anyone confirm that he's definitely not a candidate? I am obviously a Kennedy supporter and am looking into getting a position on his leadership campaign. As to who my second choice would be, it would really depend upon who makes it and who doesn't. Dion is probably the most likely to be my second choice, followed closely by Godfrey. And while Rae is clearly more leftist than somebody like Stronach, I disagree with his decentralized approach to tuition fees. If Hedy Fry decides to run I may support her, but I seriously doubt she would beat Kennedy on first ballot. Ignatieff and Brison are the two candidates that I could not stand to see lead the party. I'd honestly prefer Stronach to them. Thanks. What do you see as Dion's strong points, aside from his role as a senior Quebec minister in the previous governments? And what do you like about Fry? I think it's time the Libs had a woman leader, that's the main reason I pull for Bennett, plus she's a good debater and will not back down. I think she's better for the role than either Stronach or Hedy Fry. From her interview on 'Politics', I really like Hall Findlay too, but she needs to get elected and get some parliamentary experience first. I think Hall Findlay could be a serious contender ten years down the line, but by then Stronach and Brison will be stronger too. They're (Hall Findlay, Stronach, Brison) all quite young, and probably all have long parliamentary careers ahead of them. Ernie Eves will be sorry to hear that. Speaking of Peterson though, he's taken a shot at Rae. Former Ontario premier David Peterson is warning that Bob Rae may not get much of a welcome in the federal Liberal leadership race. Mr. Peterson said Mr. Rae has some “terrible burdens to overcome,” and raised questions about his record and loyalty. Peterson had hoped to support former New Brunswick premier Frank McKenna. Since McKenna bowed out of the race, Peterson hasn't formally declared support for any other candidate but he acknowledged he's very impressed by Ignatieff, an acclaimed academic. As this thread's getting kind of long, I'll start a new one and come back with a link before this one gets closed.